Raymond “Strong” Carlisle made his mark as an ace sideman to the biggest names in R&B. Now he lies in the mud outside his home, shot dead from behind. He’s the first official casualty in a dirty war for control of Rio Mirada: a low-rent “city in transition” at the northernmost point of the San Francisco Bay, beset by drug dealers, arsonists, squatters, and restless developers. And now a murderer. In Rio Mirada, the truth is in short supply. What’s plentiful are people with all the reasons in the world to make sure the murder of Strong Carlisle remains unsolved. And the harder Detective Dennis Murchison pushes for answers, the clearer it becomes that this single, brutal homicide is just the tip of an iceberg in a town where small-time crime and big-time corruption are about to collide with explosive consequences. 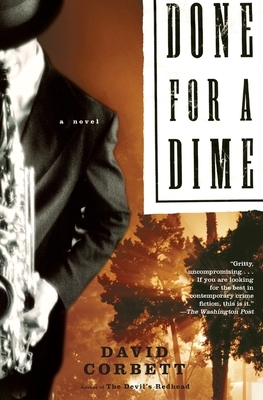 David Corbett is also the author of Done for a Dime. For nearly fifteen years he was a senior operative with a prominent San Francisco private investigation firm, working on a number of high-profile criminal and civil litigations, including the Lincoln Savings & Loan scandal and the People’s Temple trial. After that, he worked with his late wife Terri in a small law practice in northern California, where he continues to reside.